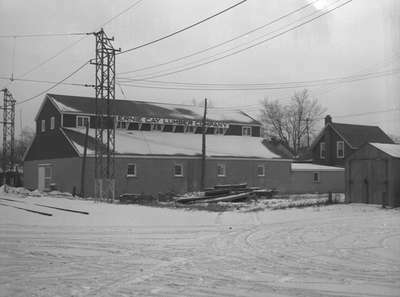 A photograph of Ernie Cay Oshawa Lumber Company in Oshawa, Ontario. Ernie Cay Lumber Company, 1948, Marjorie Ruddy. Whitby Archives A2013_040_1123.